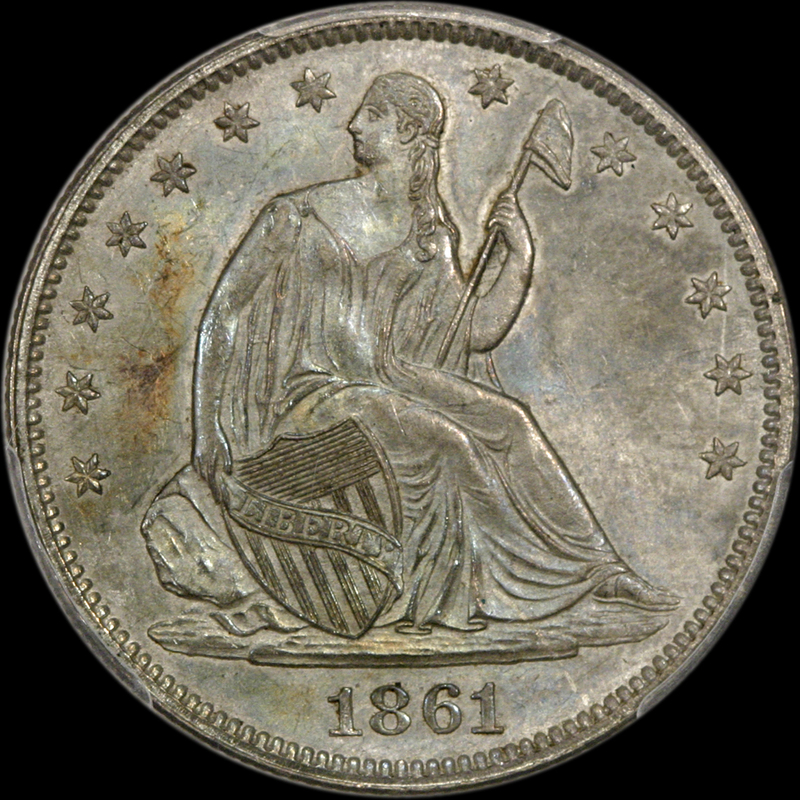 Hard to believe that this coin has lasted 156 years from our Civil War period in such a pristine condition. Undisturbed surfaces are semi satiny and do appear smooth. Even using a strong glass you will NOT be disappointed. A moderate luster enhances totally original shades of moderate lavender (but NOT dull)/dove gray/gold/pale blues colors that swirl all over. This NOT a dull coin. Miss Liberty and every detail are frosty and have crisp sharp strikes. The eye appeal is wonderful! 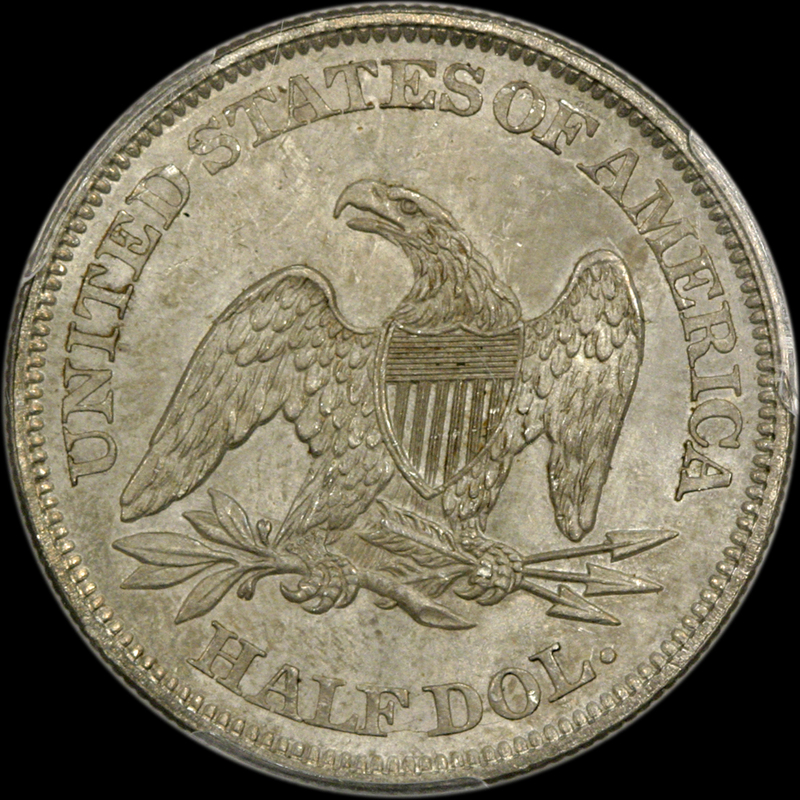 PCGS 24, NGC 23, CAC 9. The last one to sell in a major auction brought $4,700.00 08/2016. These certainly do NOT appear with any frequency. This is yet another MS Seated coin the market has spanked for no real reason. This coin is great representative from the early Civil War period of our country. it is our VERY strong opinion, these got spanked way to hard by the market. 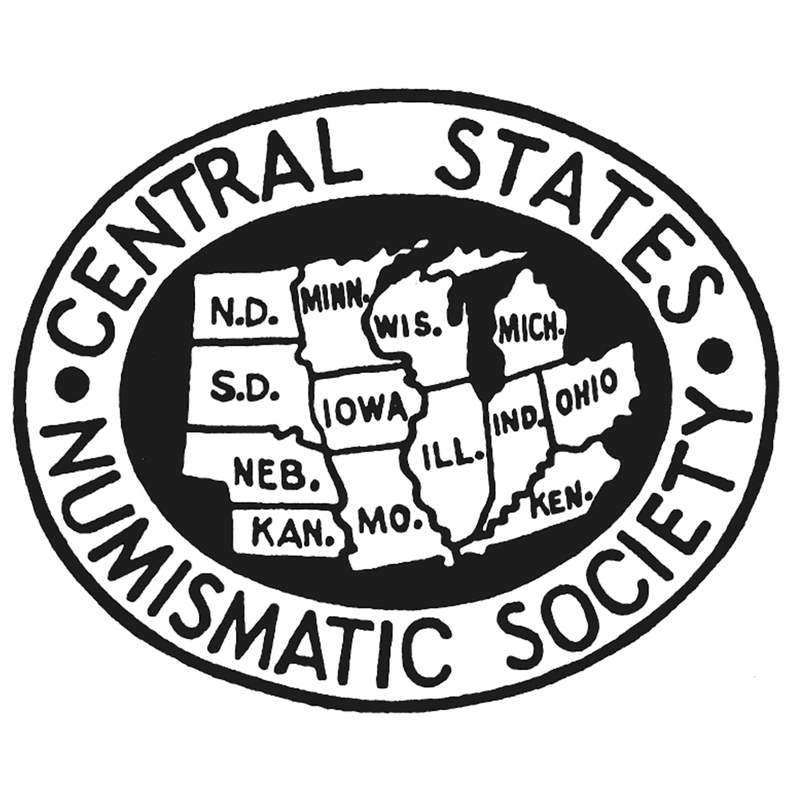 Finding any GEM quality silver Civil War era coin is extremely difficult. Opportunity knocks so loud here! WE HAVE POSTED THIS COIN AT OUR BEST PRICE!